German Chancellor Angela Merkel has become a target of websites spreading fake news, misleading stories and conspiracy theories ahead of her country’s election, according to an analysis compiled by BuzzFeed News. A website called Your Newswire, which was responsible for spreading the “Pizzagate” conspiracy about Hillary Clinton and a pizzeria in Washington, D.C., claimed Merkel took a selfie with one of the terrorists in the Brussels attack, the report said, when it was actually a refugee. Another website, Anonymousnews.ru, published recent fake stories about German NATO officers arrested in Aleppo for collaborating with members of the Islamic State in Iraq and Syria (ISIS), reported BuzzFeed, which also said the website contained pro-Kremlin propaganda and has also made claims about the CIA being behind 9/11. The report said some of the other websites posting fake news include Junge Freiheit, which is a weekly newspaper that has been endorsed by the country’s far-right Alternative for Germany (AfD) party. BuzzFeed’s analysis found that some of these fake stories were the top-performing about Merkel on social networks last year and that they often would mix conspiracies about refugees and Islam with legitimate information. The report noted that some English-language outlets are also promoting anti-Merkel stories including Breitbart, which was previously headed by Trump’s incoming White House chief strategist. 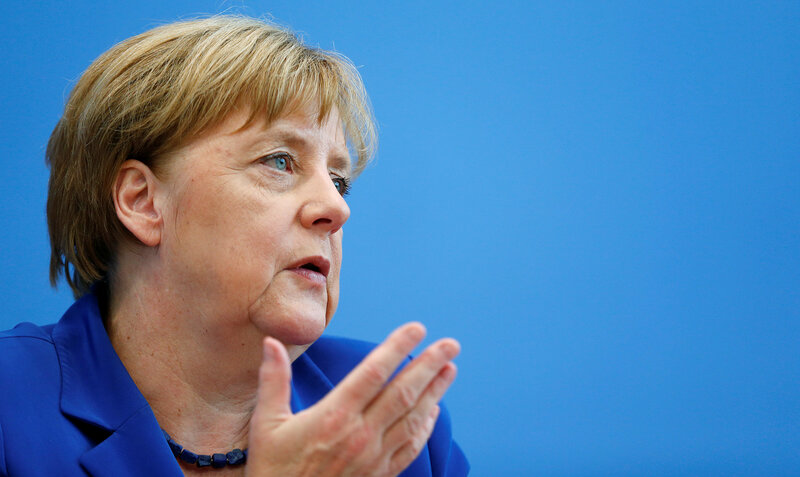 Merkel, who has served as chancellor of Germany since 2005, is running for for her leadership position again, with the election expected this fall.